I am a big advocate of dash cams and I think everyone should own one for their own good. It is a small investment that can help clear up insurance claims and prevent insurance fraud. 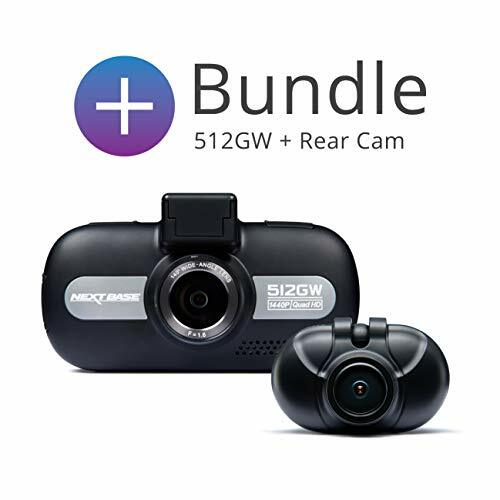 There is a dash cam for every budget, and I have reviewed options from Aukey which are just £50 through to the Nextbase 512GW which is currently around £140. You can, of course, spend much more than this with some BlackVue models costing more than £400. I have only reviewed front facing cameras so far, which are great, but ideally, you want to cover your rear too. The Z-Edge T4 is a dual camera system with an RRP of £139.99 on Amazon, but you can apply a voucher for an extra £15 off, making it £125 and quite affordable for a dual camera option. It also includes a 32GB microSD card which I would say is worth £10 by itself. 4.0 inch TFT LCD 480*800 Color Touch Panel. Simultaneously capture high definition videos in front and rear in crystal clear details. High resolution and powerful processor, super HD dashboard camera focusing on great image quality. 155 degree wide viewing angle for both front and rear camera reducing the bling spot as much as possible. Capture more details at night with wide dynamic range technology(WDR) in low light conditions. 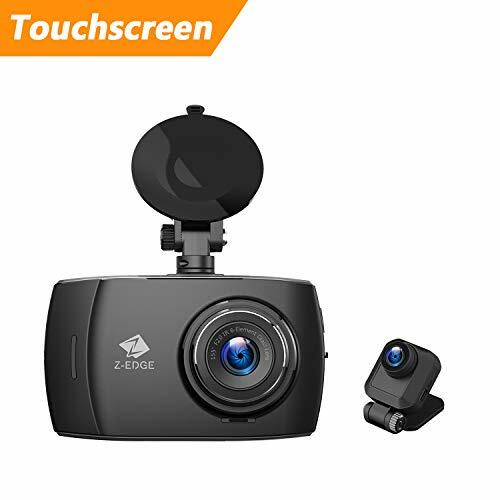 The dash cam will automatically power on and start recording when the car is switched on it will then automatically save the recording and power off after the car is off. WDR technology compensates for extreme light and dark spots, balancing exposure to produce a clear image. With parking monitor enabled, the dash cam continues to monitor the vehicle for unusual impact or collision when the engine is turned off and parked. If a vibration is detected, the device will automatically turn on and begin recording. Approximately 30 seconds after the motion or vibration is finished, the device will automatically return to monitoring mode. The built-in G-Sensor monitors and detects unusual impacts or vibrations. Automatically protect the currently recorded video file from being overwritten when collision or vibration happen. The device automatically pauses video recording, after the vehicle has not moved for a certain period of time. Automatically overwrites the earliest unprotected saved file when max storage is exceeded, record videos cycle by cycle seamlessly. Video are recorded at set intervals. Video files can be saved to the SD card in 1,3 or 5 min intervals. The dash cam comes with everything you need to get set up, this includes a 32GB card. The primary camera is powered via microUSB, and they include a USB adaptor for your lighter socket this makes plugging in additional devices into the socket possible. In comparison, I was unable to do this with the Thinkware F100 due to the power cable they provided. The rear camera uses a miniUSB connection which is plugged into the main camera unit. I am not sure why miniUSB is used on this one, but it doesn’t really matter as they provide the cables needed to wire it all up. The included cables are very long so you should have no issues routing everything around. If anything, it is too long for my Vauxhall Corsa so a little awkward to tidy it up. You get a good range of cable tidies to improve your cable management and these affix to your car with 3M tape which should keep them securely attached in place. The front camera attaches with a suction cup, and I have found it to be more than adequate to keep it in place. I have not had to adjust it since I got this camera in December. The rear camera uses tape. When the camera starts up, you get a dual view of the front and rear, by default the screen will switch off after a few minutes of driving. The display doesn’t have as much info on it compared to the Nextbase models, primarily because there is no GPS, so you don’t get location data or speed data. The overall interface is quite simple too, and it doesn’t look quite as professional as the NextBase but that is not too much of an issue. It is functional, and the device is responsive and easy to use. There is a built-in microphone which you can optionally turn off – which I did for my recordings. In order to access the recordings, you will need to pull out the microSD card and manually copy the data over to your. Fancier models such as Nextbase and Thinkware have dedicated PC or mobile apps for easier access. Again, I don’t view this as a problem, I hope I rarely have to pull a video off it so easy management of the stored videos isn’t a huge concern. The dash cam uses loop recordings with each video being 3 minutes long by default, they are named logically by data and time so working out which video you need to access is easy. Front and rear videos are separated by an additional A or B to the file name. The quality of the videos is good enough, comparing the quality between the Thinkware F100 and the Nextbase 512GW I would say it looks about as good as the Thinkware but not as good as the NextBase. The recordings are a little dark, though these were all done on January mornings so the weather was a bit dark and gloomy too. In comparison, the NextBase was done in the middle of the year when it was much brighter, so this will be a factor in the video quality. The overall video quality is perfectly adequate for its needs, the wide-angle covers the full road and out to the pavement and licence plates are readable within a reasonable distance. This is a great camera for the money, it does everything you want from a dash cam and at a reasonable price. It is easy to set up and includes everything that you need to get it working, the included microSD card is a particular bonus. Its main selling point is the front and rear camera layout giving this superior coverage over many cheaper and more expensive models alike. The quality of the video is good, and the wide angle should cover your from awkward angles. Video quality isn’t quite as good as the more expensive Nextbase, and it lacks GPS, Wi-Fi or any software to manage your recordings easily. In comparison the Nextbase 512GW and 512GWRC plus the cost of the storage card so this will work out about £55 more which is quite a big difference. In the end, I have left this installed in my car over my existing Nextbase 512GW purely for the added rear coverage, so I would certainly recommend it to anyone else.